Our website address is: https://pacificcatalyst.org. This site uses a contact form to request information about projects including the following personal data: name, company, website, and email. Submissions are kept indefinitely for customer service purposes. We do not use the information submitted for marketing purposes. This site uses opt-in forms to collect your name and email for marketing purposes so we can notify you about related content and special offers. Submissions are kept indefinitely. If you submit an opt-in form on our site you will be opting in for us to save your name, email address and other relevant information. You can opt in or unsubscribe at any time in the future by clicking the unsubscribe link in the bottom of any email. Popup Maker anonymously tracks popup views and conversions. Subscriber information is retained in the local database indefinitely for analytic tracking purposes and for future export. Data will be exported or removed upon users request. Data is retained in MailChimp until unsubscribed or deleted and will be removed upon users request. 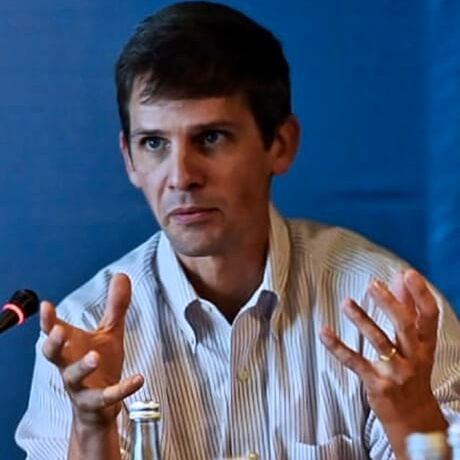 John Virdin directs the Ocean and Coastal Policy Program at Duke University’s Nicholas Institute for Environmental Policy Solutions, where he assists developing nations in reforming and strengthening governance of their ocean resources, particularly fisheries. Prior to his current position, John worked for more than 10 years at the World Bank on oceans and fisheries governance, and helped the organization increase its lending for sustainable oceans to more than US$1 billion. His work at the World Bank helped generate some $40 million for fisheries and ocean conservation in Pacific Island nations. Through his work with Pacific Catalyst, John hopes to make the resources and expertise at Duke University available to support Pacific tuna fisheries policy, and exchange with students and young professionals in the region. 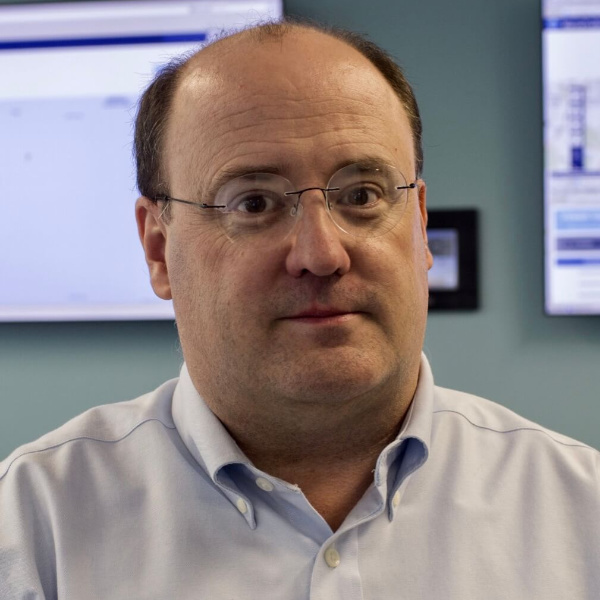 Brett Haywood leads the Sea Quest Group, comprised of Sea Quest, a domestic, Fiji-based fish harvesting company that operates six longline vessels, and Sealand Processors, which processes tuna and associated species. A third-generation member of a family supported by the sea, Brett began fishing at 15 when he joined the crew of a factory trawler out of Nelson, New Zealand. A subsequent fishing trip on a tuna hand-line boat ignited Brett’s awe and deep respect for tuna, which has only increased in the 30 years since. He was among a small group of fishermen who pioneered the New Zealand tuna long-line fishery, which eventually brought him into Fijian waters where he has been ever since. 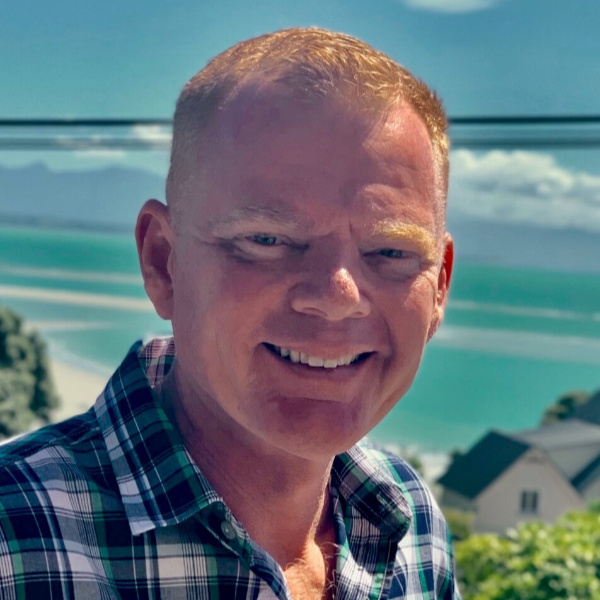 From his position at Sea Quest Group and through decades of fisheries management discussions in regional bodies, Brett has championed the connections between plentiful tuna resources, sustainable economies, and thriving Pacific Island communities. As chairman of the Pacific Island Tuna Industry Association and as an executive member of the Fiji Fishing Industry Association, Brett believes that Pacific Catalyst provides a collaborative platform to share the challenges of domestic fishing companies and to help deliver an equitable return for everyone involved in tuna fisheries of the Pacific. 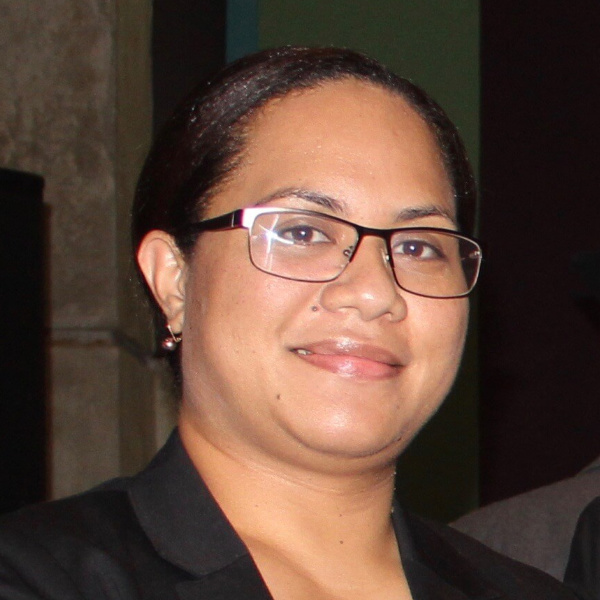 Dr. Salome Taufa recently joined the Pacific Islands Forum Secretariat (PIFS) as a Resource Economist. Before joining PIFS Dr. Taufa was a Lecturer of Marine Resource Economics and Integrated Coastal Zone Management at the University of the South Pacific’s School of Marine Affairs and was also the head of the economic division of Tonga’s Ministry of Fisheries. She obtained her Masters and Ph.D. in Fisheries Economics from the Kagoshima University, Japan, where her research centered on the supply chain and marketing of fresh tuna. Her current research is geared towards the use of rights-based systems to sustainably manage—and improve economic benefits derived from—marine resources of Pacific Island nations. Through her work with Pacific Catalyst, Dr. Taufa has carried out research on how rights-based fisheries management can be used to improve the management of and the return from marine resources in Tonga. She intends to continue to carry out research and contribute to building innovative thinking towards the management of marine resources in the region and to foster a new generation of future-focused fisheries leaders across Pacific Island nations. Dr Anne-Maree Schwarz is a New Zealander and an aquatic ecologist who has been working in Antarctic, temperate and tropical ecosystems for more than 25 years. Since 2005 her work has focused on Pacific coastal fisheries management and particularly community-based approaches. Anne-Maree has been involved in coastal fisheries management and development projects in Solomon Islands since 2005, first as a volunteer scientist for WorldFish through New Zealand’s Volunteer Service Abroad Scheme and then as a Country Programme Manager for WorldFish. She led the CGIAR Aquatic Agricultural Systems Research Programme in Solomon Islands from 2012-2015. 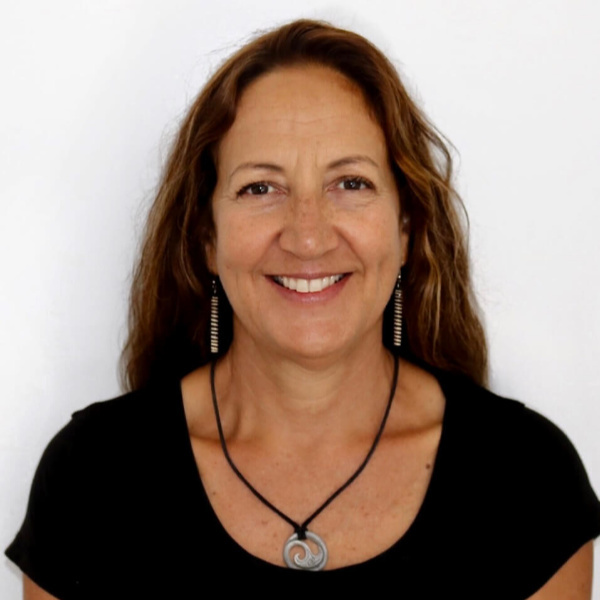 Anne-Maree is currently the Team Leader for the NZAID funded Institutional Strengthening Programme in the Solomon Islands’ Ministry of Fisheries and Marine Resources and is an honorary senior fellow at ANCORS, University of Wollongong. With more than 50 publications in the primary science literature, her interests now lie in supporting career development for young Pacific researchers and managers, and participatory research that improves locally relevant sustainable development. 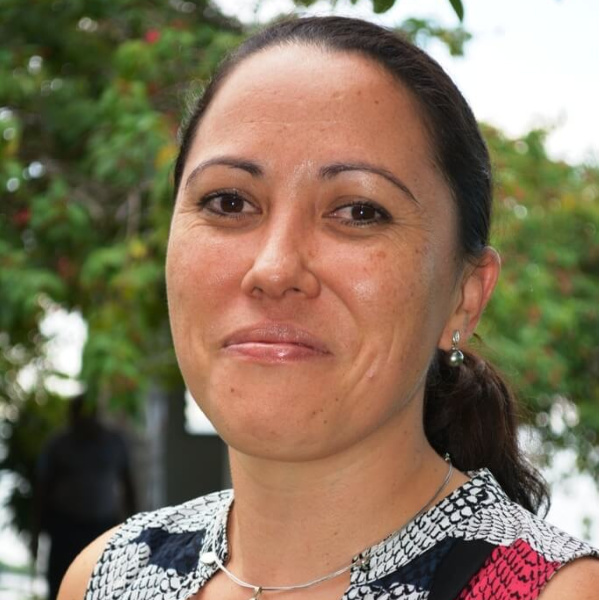 Dr. Lara Manarangi-Trott is a Cook Islander with a background in marine science, environmental management, international fisheries law and policy. Her early career included working as a senior fisheries officer with the Ministry of Marine Resources, Cook Islands. She further developed her research and analytical skills during her PhD candidature, through six years at the Pacific Islands Forum Fisheries Agency (FFA) and in her present career at Western and Central Pacific Fisheries Commission (WCPFC). Participation at regional and international fisheries meetings, as a national delegate, as an advisor connected to the FFA and as senior staff member of the WCPFC, has provided her the opportunity to develop a professional approach to fisheries management and international relations at both the regional and international level. Currently, Lara serves as Compliance Manager for the WCPFC, which works to conserve, manage and ensure the sustainable use of tuna and billfish. With 26 member countries and other cooperating countries, the WCPFC oversees a region that accounts for over 50% of global tuna production. Lara oversees all monitoring and compliance programmes, and supports the Commission’s consideration of how emerging technologies could complement and enhance existing fisheries management tools and approaches. Transform Aqorau is founding director of Pacific Catalyst. From 2010 to 2018 he served the Parties to the Nauru Agreement (PNA) in a variety of roles including legal consultant, director, and chief executive officer. PNA is a regional fisheries body made up of governments of the Federated States of Micronesia, Kiribati, Marshall Islands, Nauru, Palau, Papua New Guinea, Solomon Islands, and Tuvalu. From 2004-2010 Transform served as deputy director-general of the Pacific Islands Forum Fisheries Agency, a regional intergovernmental organization that provides legal, policy, economic and enforcement advice concerning tuna fisheries to 17 Pacific Island countries including Australia and New Zealand. Transform holds a master’s degree in International Law from the University of British Columbia and a Ph.D. in International Fisheries Law and Management from the University of Wollongong. John Hampton is chief scientist and deputy director of the Pacific Community’s (SPC) Division of Fisheries, Aquaculture and Marine Ecosystems. Since 2002 he has lead SPC’s Oceanic Fisheries Programme. Upon obtaining his BSc from James Cook University in 1977, John worked in the Fisheries Division of the Department of Primary Industries in Canberra and later moved to the Australian federal government’s Commonwealth Scientific Industrial and Research Organization (CSIRO), where he worked on southern bluefin tuna stock assessment. 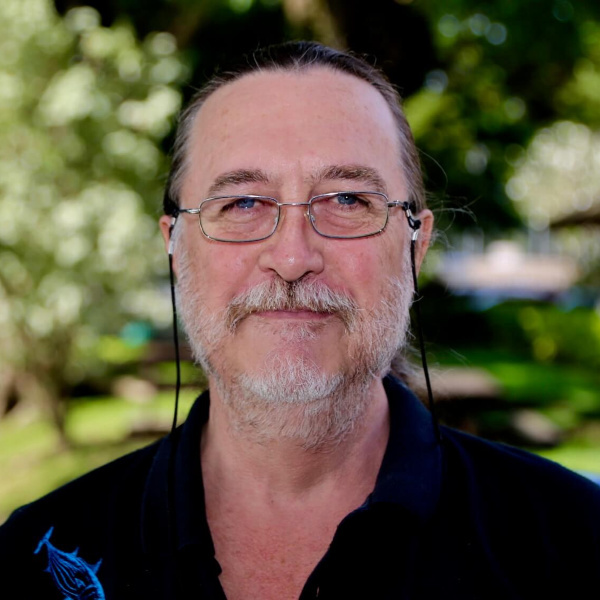 In 1987, after completing his Ph.D. at the University of New South Wales, John moved to New Caledonia and joined the Pacific Community as senior fisheries scientist. Initially his work involved analysis of tuna tagging data and planning and implementation of the EU-funded Regional Tuna Tagging Project. 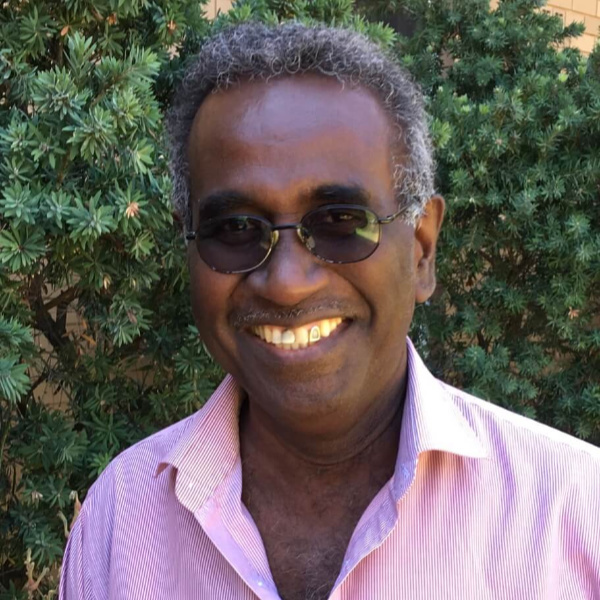 In recent years he has focused on development and application of the MULTIFAN-CL stock assessment model for tropical tunas in the western and central Pacific. John brings extensive practical and technical experience to his advisory role with Pacific Catalyst. Duke University is a higher education and research institution with locations in North Carolina, Singapore and China. Duke University is home to multiple schools and institutes that focus on marine and coastal issues, including the Nicholas School of the Environment, the Duke University Marine Lab, and the Nicholas Institute for Environmental Policy Solutions. Policy experts at the Nicholas Institute aim to bridge the gap between policy makers and scientific expertise by working with agencies on issues of research, data gathering, and training opportunities and collaborating with faculty members from different programs at Duke University. The Environmental Defense Fund (“EDF”) is a nonprofit organization that works in four branches of environmental science and policy: Climate and Energy, Ecosystems, Environmental Health, and Oceans. EDF’s Oceans program is comprised of attorneys, policy specialists, finance specialists, economists, and scientists. The Oceans program provides a variety of trainings, as well technical and policy support, including assisting with scientific assessments, bioeconomic modeling, policy design, meeting facilitation and development of implementation plans. EDF is actively working with fishers, academics and governments across Asia Pacific, Latin America, the Caribbean, North America and Europe. The University of the South Pacific (USP) is the flagship higher education institution in the Pacific Islands, currently owned collectively by 12 member countries. USP’s mission to provide innovation and solutions for sustainable development of the Pacific Island Countries is carried through their academic programs providing qualifications for students, research, and solutions for regional environmental challenges. USP’s School of Marine and the Institute of Marine Resources are working collaboratively to sustainably manage and develop the marine resources in the Pacific by providing research, technical analysis, training and education for members of the Council of the Regional Organizations in the Pacific (CROP), fishing industry representatives, development agencies, and non-governmental organizations (NGOs). University of Wollongong is home to the Australian National Centre for Ocean Resources and Security (ANCORS). ANCORS is a research and training center that provides research, policy advice, and higher education programs on coastal law, marine resource management, conservation, maritime security and cooperation. ANCORS offers coursework degree programs for masters in maritime policy, maritime studies, fisheries policy, and a graduate certificate in maritime studies. Specialists and researchers provide advisory and technical services in the fields of ocean governance, resource security, fisheries governance, sustainable development, marine conservation, marine dispute resolution, and maritime crime prevention. Stuart Kaye is Director and Professor of Law within the Australian National Centre for Ocean Resources and Security (ANCORS), at the University of Wollongong. He has held this role since 2013. Previously, Stuart served as Dean of Law at the University of Western Australia; held a Chair in Law at the University of Melbourne from 2006 to 2010; and was Dean and Professor of Law at the University of Wollongong between 2002 and 2006. He is admitted as a Barrister of the Supreme Courts of New South Wales, Tasmania and Queensland. Professor Kaye has written over 110 articles, chapters and books, principally in public international law and the law of the sea, including on topics such maritime boundary delimitation, fisheries management and maritime security, among others. A Fellow of both the Royal Geographical Society and the Australian Academy of Law, he also holds the rank of Commander in the Royal Australian Navy Reserve. 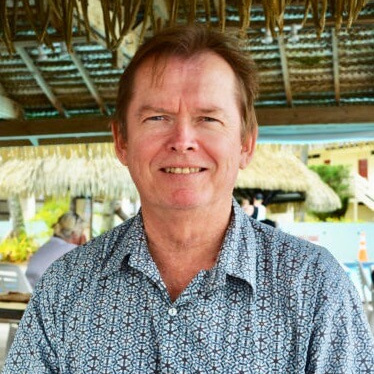 Professor Kaye has extensive experience in the Pacific, including in 2018 having been part of the team to undertake the first of the South Pacific Regional Fisheries Management Organization, facilitating maritime security desktop exercises in PNG and Fiji, and providing assistance to the Government of Palau on behalf of the FFA. Sarah O’Brien is a senior manager with Environmental Defense Fund, where she oversees EDF’s engagements in Pacific tuna fisheries. Prior to joining EDF in 2011, she worked for the U.S. Department of State, where she focused on international agreements related to Pacific tuna fisheries. From 2012-2015, Sarah served on the Coastal Pelagic Species Advisory Subpanel for the Pacific Fishery Management Council and co-authored the Fishery Monitoring Roadmap. Her personal and professional connection to the Western and Central Pacific goes back to 2003 when she began studying coral reef ecology in the U.S. Pacific Island Territories. Sarah’s work currently focuses on building cooperative relationships between scientists, industry, and fishery managers to ensure sustainable outcomes for Pacific Island communities and the marine environment. Through her engagement with Pacific Catalyst, she hopes to connect graduate students with research opportunities in fisheries policy, economics and management, and to facilitate the exchange of tools, resources, and lessons learned throughout the region. 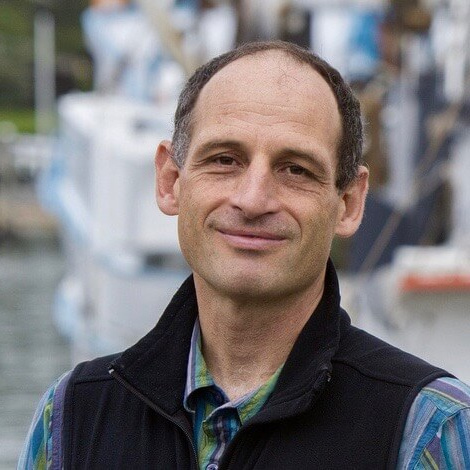 Quentin Hanich leads the Fisheries Governance Research Program at the Australian National Centre for Ocean Resources and Security (ANCORS), University of Wollongong, where he advises international organizations and national governments. He has extensive project management experience throughout the Asia Pacific region in fisheries governance, marine conservation, fisheries management, and satellite-based remote sensing technologies. 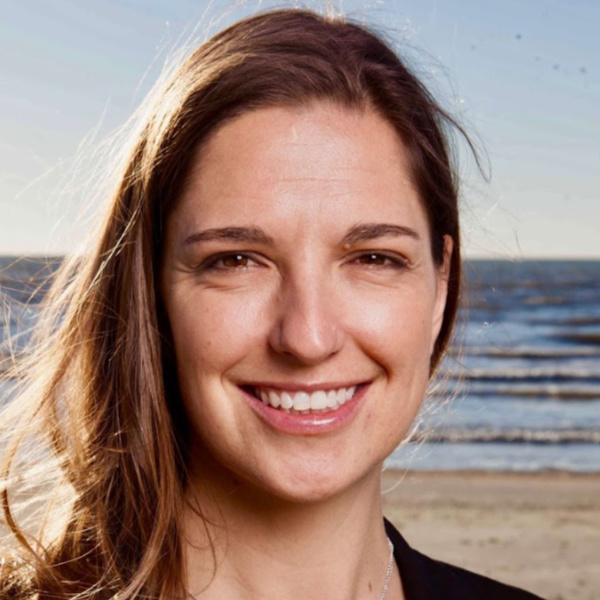 Dr. Hanich works in various international research partnerships focusing on ocean governance, marine conservation, and planetary health challenges. In addition to his roles at the University of Wollongong, he is a Principal Investigator in the Nippon Foundation Nereus Program, a research partner with Global Fishing Watch, and an Adjunct Scholar at Dalhousie University. In addition to his research and project activities, he has chaired international working groups at treaty meetings, facilitated inter-governmental workshops, advised Ministerial meetings and national delegations, and is a member of the IUCN Fisheries Experts Group, the IUCN World Commission on Protected Areas and the Pacific Marine Sector Working Group. He also lectures and writes on oceans governance, international fisheries, marine conservation, and fisheries development in the Asia Pacific region. Quentin works with Pacific Catalyst to recognize, empower and enable Pacific Island communities and governments to sustainably manage and develop their ocean heritage and marine resources. Tim Adams fell in love with the Pacific Islands as a postdoc visiting fellow at the University of the South Pacific. Over his 35-year career, he has worked with every Pacific Island government and territory on aspects of fishery management, science, and aquaculture, and has been involved in the activities of every subregional and regional fisheries management body in the Western and Central Pacific. A member of the team that drafted the Pacific Islands Regional Ocean Policy adopted by Pacific Island leaders in 2002, he currently serves as Chair of the Marine Sector Working Group of the Council of Regional Organisations in the Pacific. Tim is passionate about empowering Pacific Small Island Developing States (PSIDS) to exercise control over human impacts on living marine resources in their areas of national jurisdiction, so those resources can contribute indefinitely to their economic, social and environmental wellbeing.